The Ecumenical Patriarchate of Constantinople revoked the Tomos (Decree) which placed the Russian Orthodox parishes of Western Europe under its jurisdiction, and decided, without asking for their opinion, to integrate them into the Greek Orthodox Metropolises of their respective countries. What will be their future? They must consult each other this week to think about it. 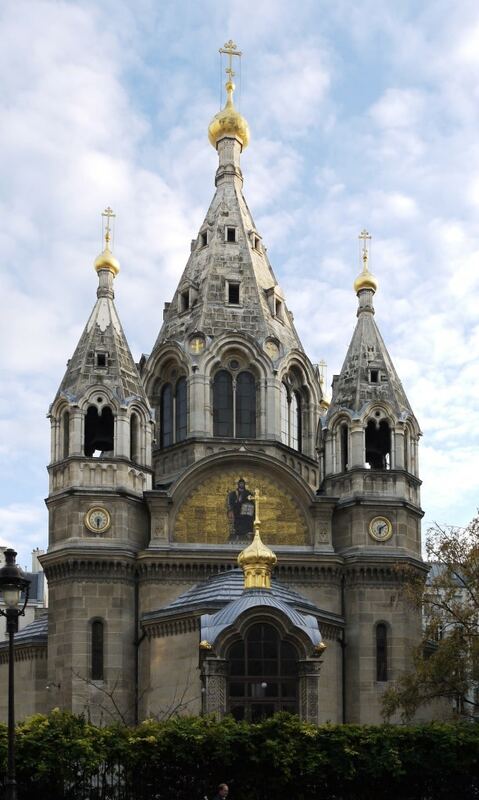 At the end of November, the Russian Orthodox in Western Europe were stunned to learn the dissolution of their archdiocese. This was decided by the patriarchate to which they have been attached since 1931, temporarily at first, and then permanently since 1999. We are talking here about the Patriarchate of Constantinople, not of Moscow, although these tens of thousands of faithful are of Russian spiritual tradition, and they celebrate in Slavonic in their 120 parishes throughout France, Benelux, or Scandinavian countries. Exiled in Europe after the 1917 revolution, these Russian Orthodox had indeed refused to remain under the authority of the Moscow Patriarchate, perceived then as subjected to Soviet power. So today, their exarchate has been dissolved. At the end of a Holy Synod meeting in Istanbul (Turkey) and without preamble, Patriarch Bartholomew delivered the news to Archbishop Jean, who was in charge in this archdiocese. Officially, this decision aims to “further strengthen the link between the parishes of Russian tradition with Constantinople,” according to the statement by the Synod. Christophe Levalois is the chief editor of Orthodoxie.com, and author of “Le christianisme orthodoxe face aux défis de la société occidentale“ [Orthodox Christianity and the Challenges of Western Society] , published this year by Cerf editions. In the following interview, he comments on the “shock” provoked by this dissolution and on the questions left unanswered about the motives for such a choice. This sudden and unpredictable announcement comes at the time of a serious dispute between Moscow and Constantinople. On October 11, Patriarch Bartholomew decided to recognize an independent Ukrainian Orthodox Church, “putting an end to 332 years of Russian religious supervision” in the country, says the newspaper La Croix. Last Saturday, he convened a “Unification Council” hoping to unite the Orthodox Church headed by Patriarch Filaret of Kyiv and the Ukrainian autocephalous Church headed by Patriarch Onufriy, under the authority of one man, which is not easy to bring about. In any case, this decision has angered the religious authorities of the Moscow Patriarchate, inside Russian and in the diaspora. They accuse Bartholomew of “transgressing the unity and conciliarity of the Orthodox Church”, “a threat to the Church of Christ”.